Where the very best in domestic and commercial decorating is guaranteed! 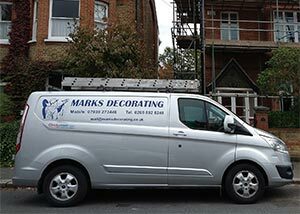 Mark’s Decorating has brought the very best in domestic and residential decorating services for over 30 years. Established in 1988 we work across South West London including Richmond, Teddington, Twickenham, Kingston upon Thames and the surrounding areas for private homeowners and a variety of commercial businesses and organisations. Our team is kept small and tight knit with experienced, time-served painters and decorators who have all worked together for many years focusing on a professional and timely service and the best in customer service. We enjoy regular repeat business and referrals thanks to our attention to customer requirements - we work our schedules around you, keep our sites clean and tidy and our staff friendly and helpful, most importantly we take pride in delivering a great finish. Our regular clients include homeowners across the area, residents associations, housing associations, private landlords, estate agents and building contractors, many of who utilise ongoing contracts. We aim to keep the bulk of our work focused in our local area, offering you peace of mind that we won’t be using subcontractors or travelling from the other side of London, we’re coming from just round the corner and working daily with our local community. Whatever your requirements in interior or exterior decorating, Mark’s Decorating can provide a simple, quality and competitive solution. Contact us to arrange a quotation today! We will turn your house into a home.